Natu-B4® is a 100% natural Choline supplement designed to cost-effectively deliver higher animal productivity. It comprises a balanced blend of selected herbs, such as Citrullus colocynthis and Andrographis paniculata, that provide a matrix of active compounds (phosphatidylcholine, rutin, terpenoids, thymol, among others). For this reason, the mode of action of Natu-B4® is complex and synergistic, resulting in greater performance. OptiMethione® contains an array of active compounds, such as L-methionine and S-adenosilmetionina (SAM), which result in a complex mode of action and amplified effects – improved performance, improved immunity and antioxidant status. It optimizes the use of methionine through improved methylation of homocysteine that allows the recycling of methionine. Avian coccidiosis is the parasitic disease with the greatest negative economic impact in industrial poultry farming. Subclinical cases are common and, less evidently, are responsible for significant productive losses (lower weight gain and worse feed conversion rate). Due to the occurrence of residues of traditional anticoccidial agents in the meat and eggs, and the development of microbial resistance to such products, their use has been progressively restricted every day. PeptaSan® enhances the productive performance of poultry through the control of coccidiosis. It is 100% natural, composed of a mixture of plants, such as Acacia concinna and Saccharum officinarum, which provide a range of active compounds (Saponins, Tannins and Polyphenols) that act in a broad, complex and synergistic way in the control of coccidiosis. PeptaSan® acts in several ways and different stages to interrupt the cycle of Eimeria sp, including the stimulation of the immune system, drastically reducing the infestation and reproductive capacity of the coccidia, thus minimizing the onset of the pathology. We are looking for commercial representatives or distributors in Europe, Middle-East, and Africa. 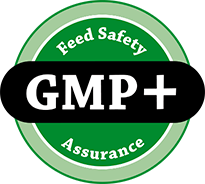 Our suppliers have high commitment towards food and feed safety and are rigorously selected based on their quality certifications within the GMP+ certification scheme. At Nuproxa, we are aware that successful solutions for real needs of the Animal Nutrition and Health industry must be effective, and technically and economically viable. As such, Nuproxa employs a significant amount of resources in scientific research to offer the market products that are safe, effectively deliver performance, and ultimately results in positive return on the investment.